UNSW has made a very significant investment in providing facilities for students at the Liverpool and Bankstown campuses. 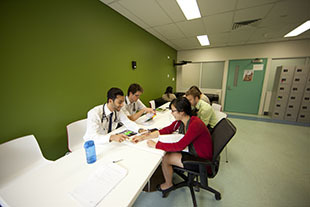 The Liverpool Hospital Common Room includes a range of facilities for students including quiet study spaces, computers on both the UNSW and Local Health District (LHD) network and Uniwide access for your own devices. Printers are available for student use on the University Managed Print Service which can be funded using your UNSW ID. 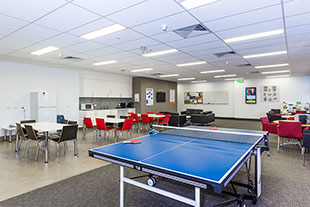 The Liverpool Common Room also includes access to the Hospital television network, a table tennis table along with a small kitchen with refridgerator facilities. Toilets and showers are available for student use and it is important that students take some responsibility for keeping these facilities clean. Please ensure that you are respectful of your colleagues as some students may be using the Common Room for independent study. 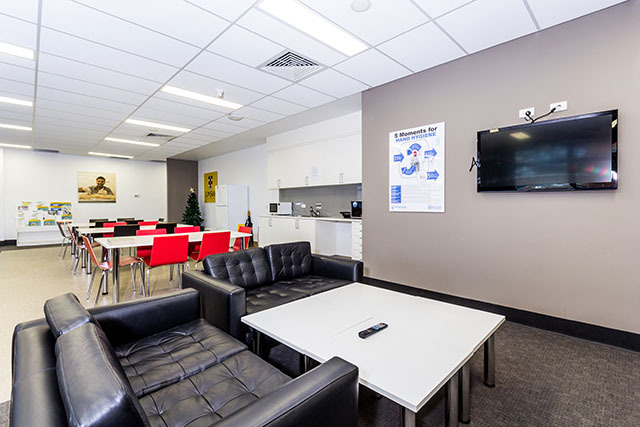 A smaller Common Room is also available at the Bankstown-Lidcombe Hospital. 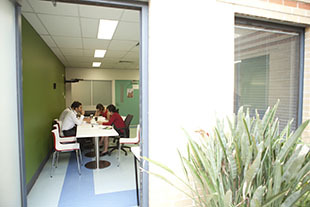 This Common Room includes computers, managed print, a kitchenette and refridgerator along with space to sit inside and in a small courtyard. A television is also available for students onsite and the Uniwide network is available for student use. 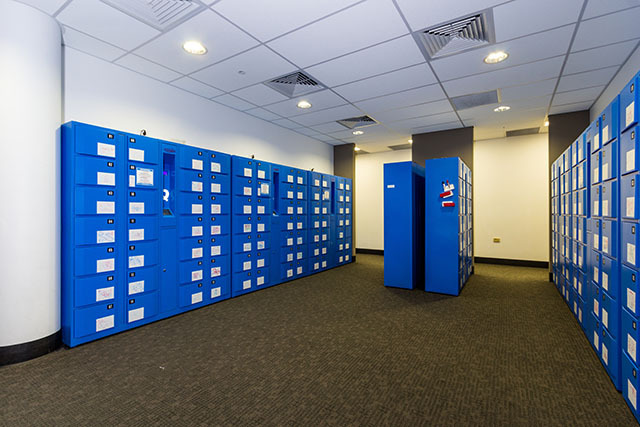 PIN-coded lockers are available at the Liverpool Common Room, Bankstown Common Room and the Ingham Institute Clinical Skills and Simulation Centre. These lockers are available for free hire for 24 hours and must be cleared at the end of the day. If you have any difficulties accessing your locker please contact the School office at either site for assistance. If you have longer term storage needs please discuss these with the School as we may be able to assist. 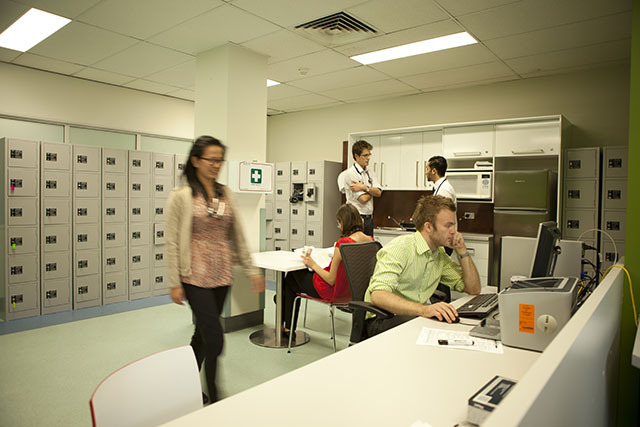 UNSW also provides funding to the Hospital libraries at Liverpool, Bankstown-Lidcombe and Fairfield. This funding is used to source books and other materials of use to students in our Medicine program. Students will be provided with borrowing rights at these libraries on request, but students will be required to pay any fines related to late return of books. These will need to be paid in order to progress from year to year. 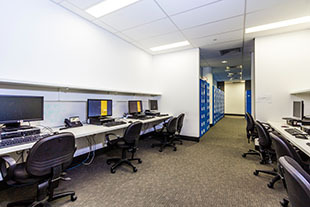 The three libraries also have access to the UNSW Uniwide network and a number of student computers on both the UNSW and Local Health District networks. Ask the Librarian if you need assistance with access to these machines. The Hospital Librarians also have access to a range of UNSW resources and may be able to assist with general queries about access to e-journal resources via SearchFirst.